The BLACK+DECKER 12-Cup Programmable was our testers' favorite budget brewer, and it took home our Best Buy Award. This little machine makes a good brew, is relatively easy to clean, offers a simple and intuitive interface, and can be programmed to start brewing before you wake up, all for a very low price. If you're looking for the best tasting coffee you'll have to spend much more, but if all you need is a morning pick me up that tastes decent, this machine gives you all the bells and whistles for what you'd spend on a novelty t-shirt at a theme park. The BLACK+DECKER 12-Cup Programmable is a great, inexpensive coffee maker that packs in some features that we'd only expect to see in pricier models. Despite its low price the BLACK+DECKER 12-Cup Programmable's overall score in our testing was a bit above average. In the following sections we go into further detail of how the BLACK+DECKER fared in all of our individual testing metrics. The BLACK+DECKER earned a 6 out of 10 in our taste testing, putting it in the middle of a metric that saw scores from 2 to 9. The coffee that the BLACK+DECKER made in our testing is on par with what you'd expect from a local breakfast joint. It definitely isn't the best coffee you've ever tasted, but it is comforting, familiar, and gets the job done. It was a bit weaker than the coffee of the top scorers, but had enough body to trigger that 'coffee makes me happy' center in the brain. The machine did produce a little bit of a plastic taste in its first pot, but that taste completely disappeared once it was broken in. Unless you're looking for the flavor of your coffee to create a transcendent experience you'll be more than happy starting your morning with a cup from this machine. The BLACK+DECKER's large filter basket produced good tasting coffee in our testing. The BLACK+DECKER was again fairly average in our user friendliness testing, picking up a score of 6 out of 10 in a metric where scores ranged from 4 to 9. Its interface is simple, but it is still fairly intuitive to set a brewing schedule. The filter basket and water tank are easily accessible, and as a bonus when you open the lid it looks like Darth Vader is staring down at you. The carafe also pours relatively well. All in all the BLACK+DECKER offers a fairly standard user experience. Continuing its average streak the BLACK+DECKER scored a 6 out of 10 in our convenience testing, putting it right in the middle of a metric that had scores from 3 to 9. After we'd done the prep work, waited for the coffee to brew, and done the required cleaning, we spent 12 minutes making 6 cups of coffee in the BLACK+DECKER. This was a bit on the longer side. However, the programmable feature allows you front load the prep to the night before and make the brewing start automatically, so you can dramatically streamline your morning. The BLACK+DECKER offers a programmable function, despite being one of the most inexpensive models we tested. The BLACK+DECKER was one of many models that earned an average score of 5 out of 10 in our ease of cleaning metric. It has the convenience of paper filters, which makes disposing of grounds easier. The glass carafe isn't too onerous to clean by hand, and is dishwasher safe if you'd rather go that route. The descaling process took 50 minutes to complete, which was right around average for the machines that we tested. With a list price of just $30 the BLACK+DECKER 12-Cup Programmable is a steal. No other machine we tested can make coffee that tastes as good and offers a programmable feature anywhere near that price. We doubt anyone will be disappointed with the value they get out of this machine. The BLACK+DECKER 12-Cup Programmable is an inexpensive coffee maker that produces a good cup and includes a programmable feature that is generally only found in much more expensive, machines. If you're looking for a budget option get the BLACK+DECKER 12-Cup Programmable, it provides a low price and performs nearly as well as some much pricier machines. *You help support TechGearLab's product testing and reviews by purchasing from our retail partners. How can we improve TechGearLab? Got feedback? 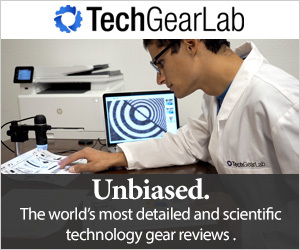 TechGearLab is reader-supported. When you click on links to buy products we may earn money to support our work. Learn how we create the most in-depth and scientific tech reviews on our About page. Material on TechGearLab is copyrighted. Reproduction without permission is prohibited.